We had dinner with other LST staff at “Sakurai (ryoutei restaurant)” the other day. 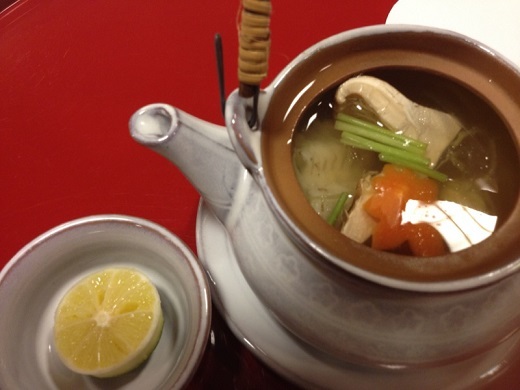 We have seen “Mushiri-dai” many times as it is one of the dishes served at the wedding reception at Sakurai. 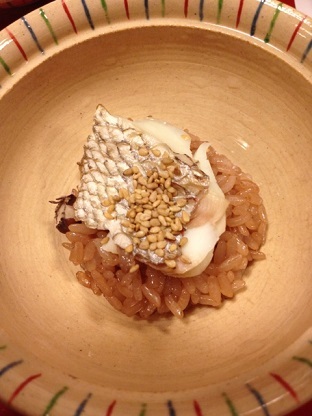 They explained that tai(=sea bream) represented the happiness and this dish was served to share the happiness with everyone. We all enjoyed the taste of Autumn food such as Matsutake Mushroom, Saury and Ginkgo Nuts which were not only delicious but beautiful to the eyes. We really had a good time. Thank you for the delicious meals, Sakurai. Copyright © 2013 - 2019 Tokuko NISHIKAWA. All Rights Reserved.